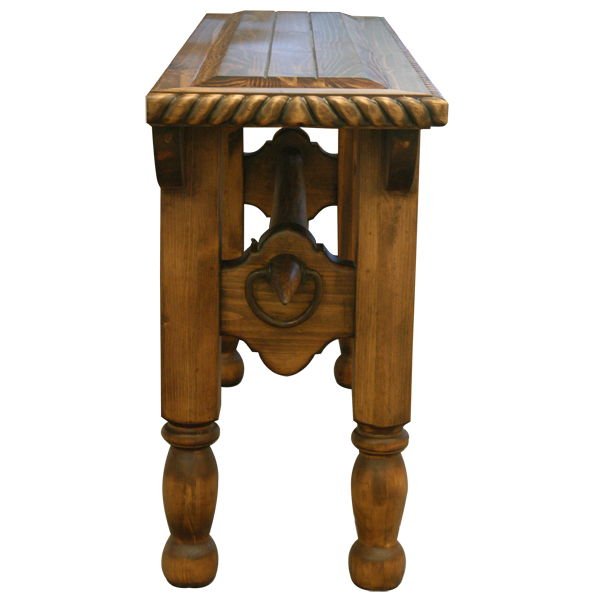 This handcrafted, Western style console will be a marvelous addition to your Western décor. 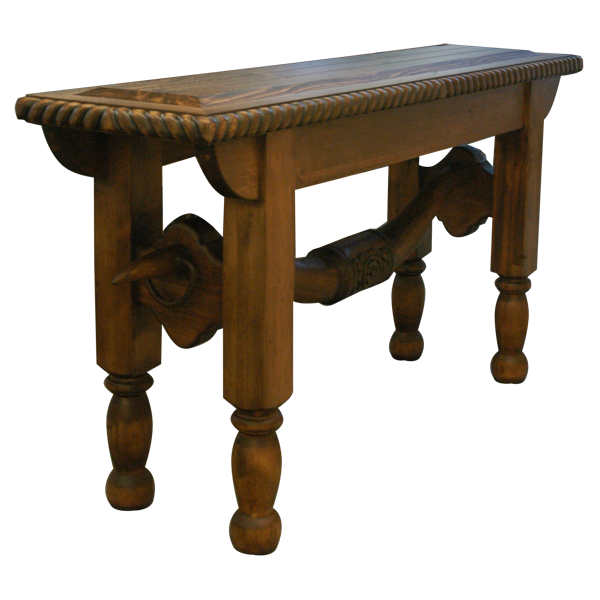 The open, wide top of the console rest on a solid wood base and the base is supported by square cut legs, with hand turned lower details. The legs are joined by a curved, hand carved stretcher, and each stretcher has a hand forged, iron ring on its side. The opposing pair of legs are connected by spectacular, hand carved, longhorn steer horns that act as a crossbar. The center of the longhorns has exquisite, hand carved floral details. 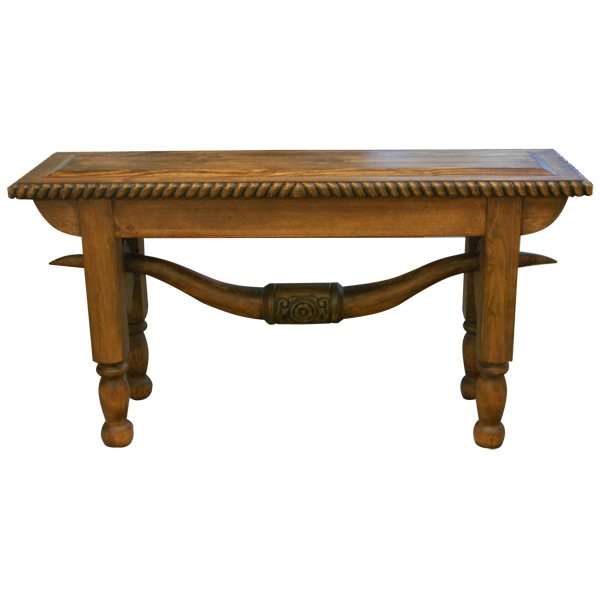 The console has a beveled, wide top, and the top rim of the console is embellished with a lovely, hand carved, twist rope design. The console has a light, antique finish, and it is made with the best, sustainable, solid wood available. It is 100% customizable.